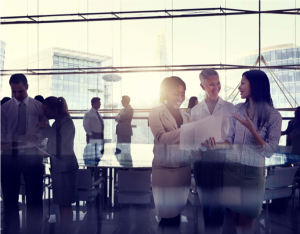 Human resources departments across all industries have tried to find or build effective employee benefits communications systems to help their workers navigate the confusing and exhausting world of insurance coverage, retirement and other common healthcare and voluntary benefits options. The goal of this investment and effort is to give workers the information they need to make the right decisions for themselves without spending excess time, money and brainpower on benefits enrollment. At the end of the day, your employees and your organization are better off when benefits enrollment stats are high. You’ve invested in insurance plans, retirement options and other voluntary programs, and you want employees to get the most out of them. One of the most cost-effective ways to boost enrollment is with digital decision-support tools. There are three thorns in the sides of employees in today’s workplace when it comes to benefits. Actually, there are more than three, but we’ll focus on health plan selection, HSA contributions and financial wellness for now. These are difficult for employees to handle on top of their normal work duties and busy lives, and that difficulty is often compounded by the stress and dread that accompany handling these benefits issues. Right now, health plan selection in the United States is a task most of us dread. Even employees working for companies providing excellent health insurance feel the pressure of choosing the right coverage for themselves and their families. Health plan selection is essentially planning for the future, but since we can’t see that future with certainty and there are significant sums of money at stake, it makes us uneasy. It’s also difficult to understand the health insurance industry’s jargon. 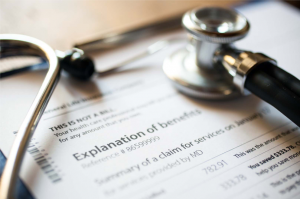 According to a survey of 2,000 Americans by PolicyGenius, 96% of respondents overestimated their understanding of common health insurance terms like deductible and coinsurance. What little your employees think they know about health insurance coverage and terms might not be correct. When it’s time to select a new health plan, it’s easy to see why employees get frustrated and fail to choose the optimal plan for their needs, which, in turn, can lead to dissatisfied, sick or injured workers with costs and health issues they struggle to manage. The biggest advantage of using a decision-support portal to help employees is the ability to compress large amounts of information into easy-to-access and -understand packages. These packages come in the form of short videos explaining insurance terms with animation and graphs, as well as unbiased and credible advice from trusted sources tailored to each employee’s situation and needs. Our PLANselect® decision tool asks employees a few basic questions about their health history, then presents them with the health plan options designed to give them the best value for their needs using proprietary algorithms. Choosing a plan is difficult. Figuring out how to maximize your savings with a health savings account (HSA) can be just as confusing. These tax-advantaged accounts are particularly important for employees enrolled in high-deductible health plans (HDHPs). It’s a challenge for employees to manage these accounts to their advantage when there are employer contribution rates and more to consider. If your decision-support portal includes easy-to-understand information on how HSAs work and the best ways to take full advantage of HSA-contribution options, your employees will be better prepared for out-of-pocket medical costs and they’ll be more encouraged to enroll in HDHPs, saving you money on your health insurance plan costs. Decision-support tools can also be used to help employees plan for the future by showing them how to maximize their retirement savings. Building a retirement portfolio via a 401(k) or other financial package is extremely important to workplaces that have aging populations worrying more and more about government retirement plans like social security (and younger populations who face the prospect of saving for retirement while paying down massive student-loan debt). Fortunately, you can step in and help your employees feel more secure about their future. 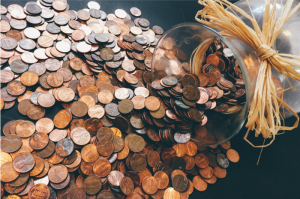 Building a dynamic financial-wellness program is a great investment in your workforce because it gives your employees highly advantageous options while relieving stress so they can focus on their work. An online support tool like our PLANselect can be used to give employees answers to common questions and show them with informative video content how to analyze and improve their finances, which improves their overall health and wellbeing. These tools can be outfitted to allow communications with financial experts and advisors directly to your employees in real time. I haven’t said much yet about the employer’s side of using decision-support technology. These tools build trust between you and your employees by helping them get the answers they need to make the right decisions about their plan options and costs. Most healthy employees will learn that HDHPs work best for them, since they don’t visit the emergency room or doctor’s office often, which means lower premium costs for them and lower organizational costs for you. The PLANselect decision-support tool is easy to set up and implement, and it gives organizational leaders and HR personnel insight into employee decision data, allowing you to anticipate which recommendations and options employees receive and choose. Decision-support portals are the future, and you can choose to be part of that future today.